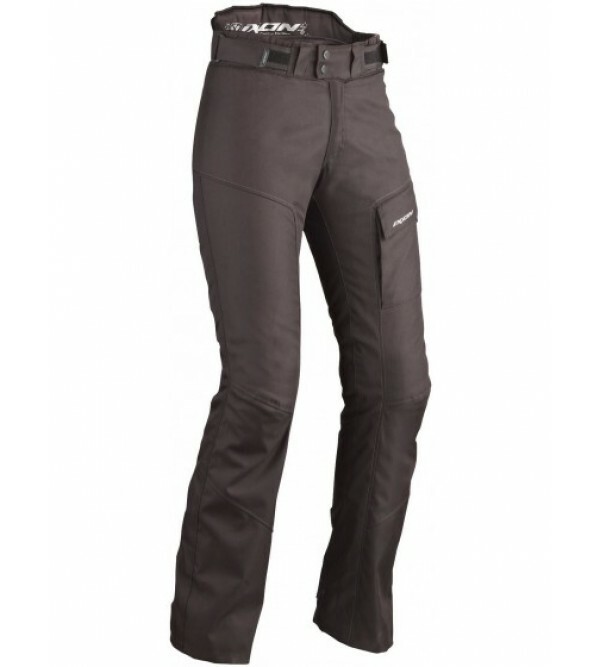 IXON PANTS3-in-1 versatile pantsRemovable waterproof and breathable membraneRemovable thermal linerMesh yokes front and rearRiplan reinforcements to kneesWaist adjusterAdjustable CE approved knee protectorsAdjustable hem for..
IXON PANTSRemovable insert waterproof and breathableMCT : Inside belt to tighten waistProtectors for knees adjustable in 2 different levels of pockets3 Different levels to easily adjust hem length with snapsLoops on waist to.. 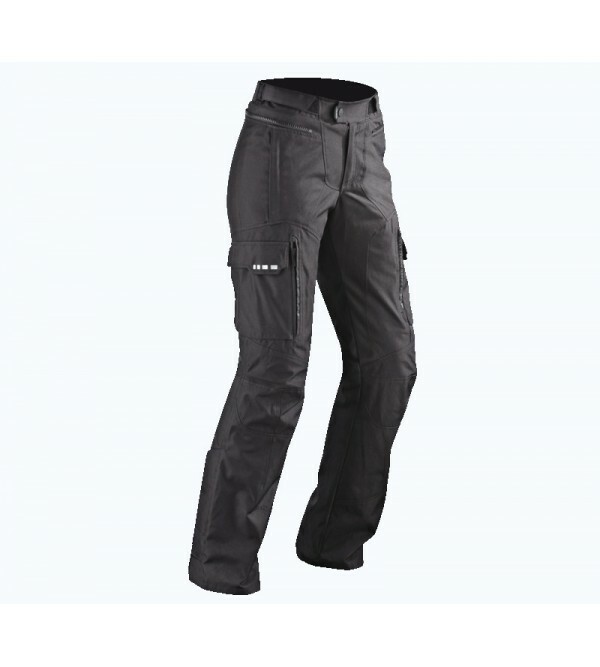 Textile touring type trousers with a 2 in 1 concept that will match perfectly the Corsica Lady jacket ; excellent value for money and versatility thanks to the inner lining, waterproof and warm at once, and the zipped vents.FABRIC..
IXON PANTSWaterproof and breathable with fixed membraneFull removable winter liningReflective piping on the back of the lower legClamping size with elastic and velcrozipped front fastening with snapVelcro fastening at the an..
IXON PANTSAdjustable waist thanks tô velcroGusset on knees för comfortBig zipper opening on end lég sidesHand pockets with ZIP..
New rain range, proposing light and compact outfits delivered in their dedicated bagFABRICSPolyester fabric with polyurethane coating : light and 100% waterproofCOMFORTReflective part on bottom legs– Very practical : compressible ..
REV'IT Women's Factor PantsThe REV'T Factor Pants have been designed specifically for the female figure and can be combined with many excellent REV'IT! 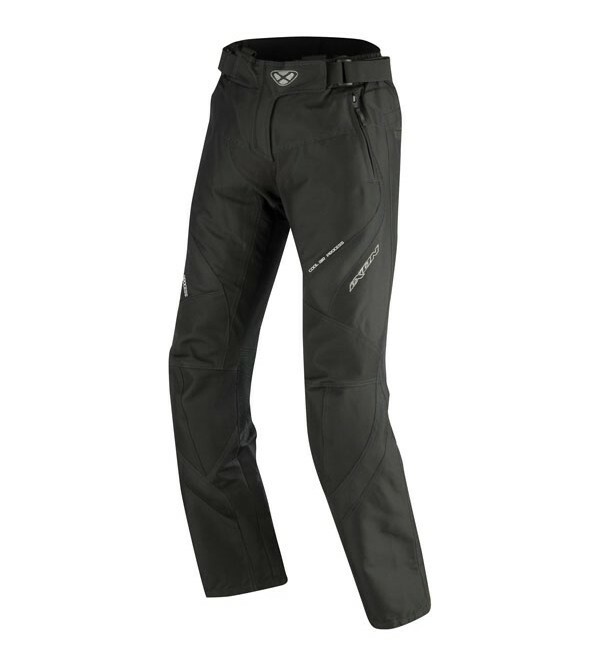 jackets for a complete riding suit. 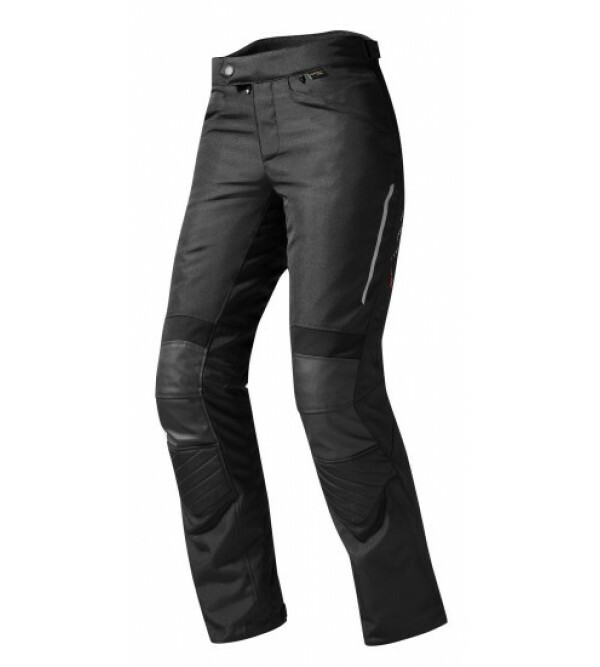 The Factor 3 Pants offer protection agains..
REV'IT Madison 2 Women’s JeansIdeal for a slim athletic build, the REVIT Madison 2 Women’s Jeans are designed for riders looking for the style and feel of their casual jeans with inconspicuous protection. 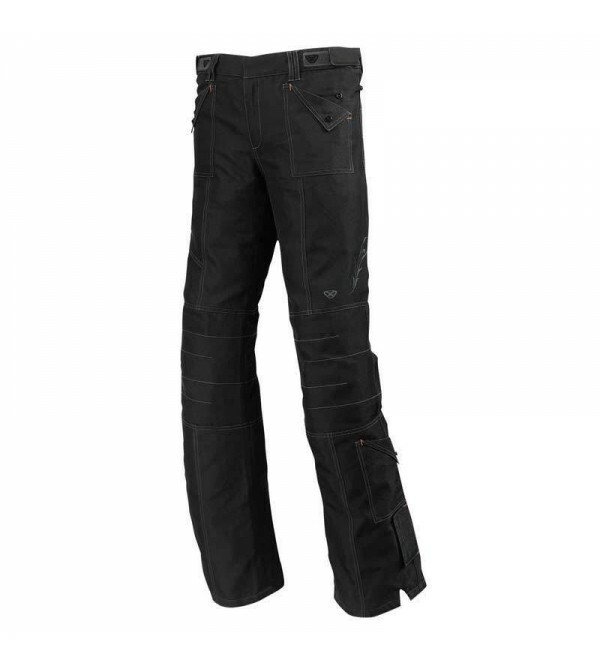 Using 12.5oz Cordura deni..
REV'IT! 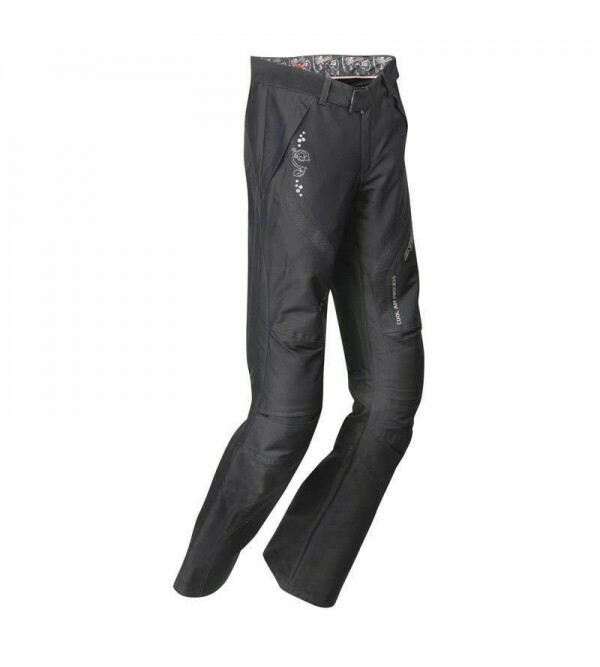 Outback Women's PantsThe REV’IT! 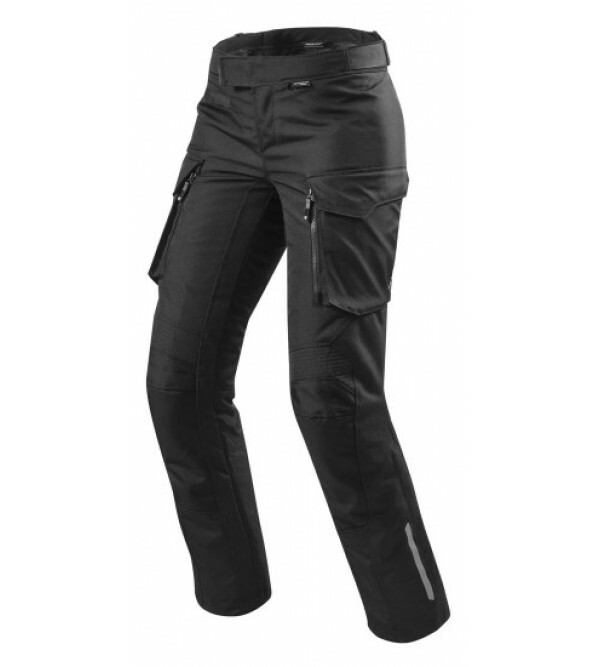 Outback Pants are designed as the counterpart to the Outback 2 Women's Jacket, matching its materials and functionality as 4 season sport touring/ light duty adventure gear. 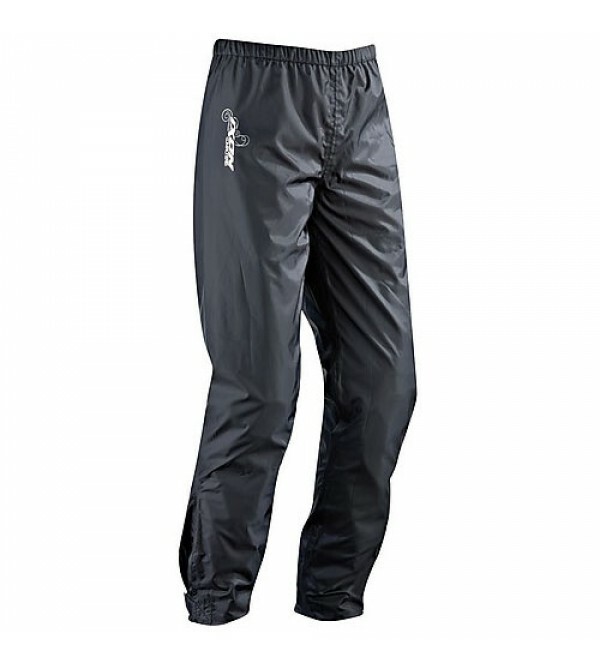 They are equipp..